Hi there! I finally get to post this. 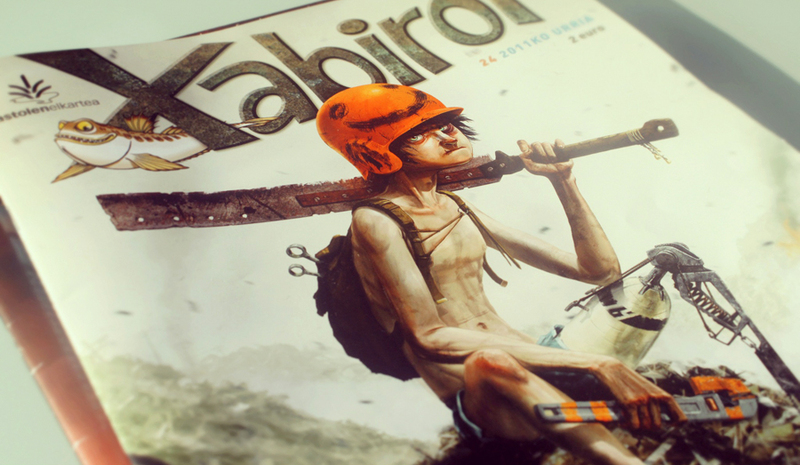 A couple of months ago I was commissioned to create the cover for Xabiroi Comic Book Magazine. 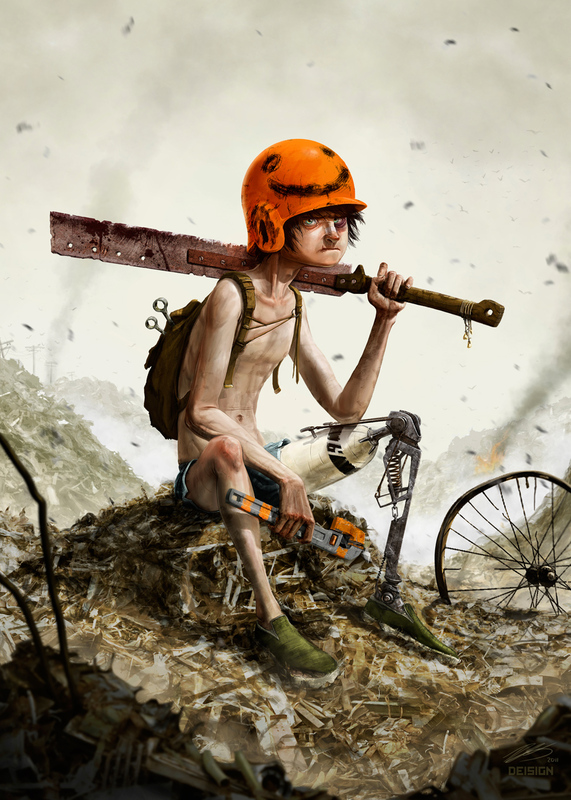 The subject for the cover was left entirely up to me, so I decided to take my Post-Apocalyptic Kids series one step further and do a full on painting of the toughest kiddo yet. Additionally, a lot of emotion went into this painting, since I made it as a gift to one of my buddies, who tragically lost a leg in a motorbike accident about a year ago. This is for him, because he really IS the toughest kiddo yet. Bellow you can see the final illustration without any text. I hope you guys like it. Also, in a couple of days I will be posting a timelapse video showing the process of creating this image, so stay tuned if you'd like to see that. Thanks! rock on man, this is a great image! Crazy dude! I love it! Incredible! I saw the time lapse video and searched and found this page. Great work! An amazing piece of work! Thank you for documenting it. Just watched the timelapse and that was out of this world. If you were born 2000 years ago and did this, they would call you a prophet and think god sent you down. Lol! Thank you so much! That's one of the most creative and outrageous compliments I've ever gotten! In the world of animation and illustration work the Ilustra teams have it own name, this team can give you the best quality of animation video and illustration work for advertising your product these team makes the thousand of logo and theme for most popular companies in all over the world. When you come at this ilustra agency than you will defiantly gets the quality work and unique design for your product advertisement.